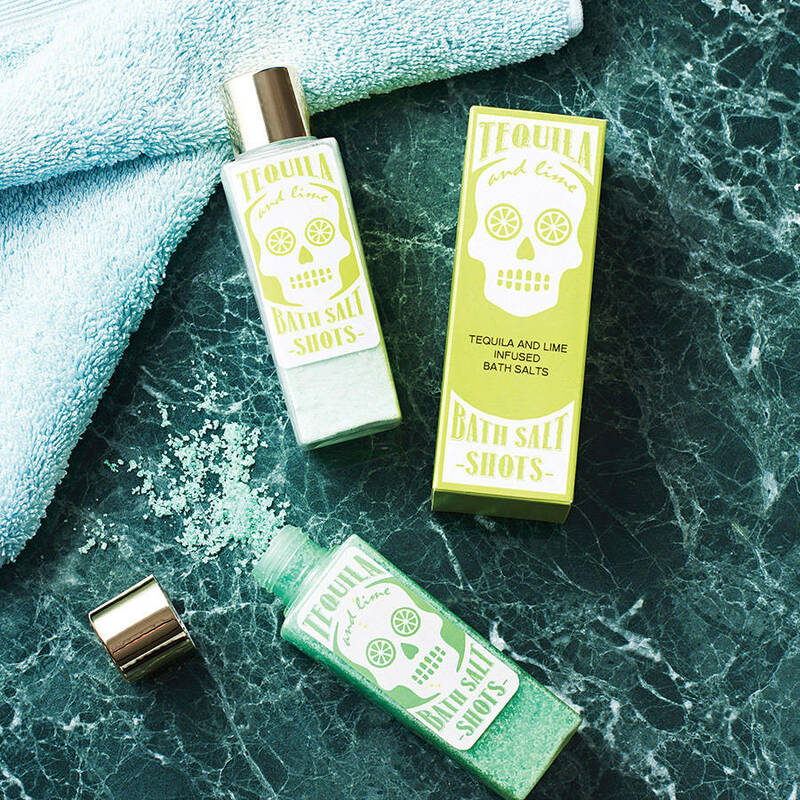 A beautifully presented bottle of Tequila and Lime scented bath salts in a plastic bottle with gold cap in a printed tequila box. 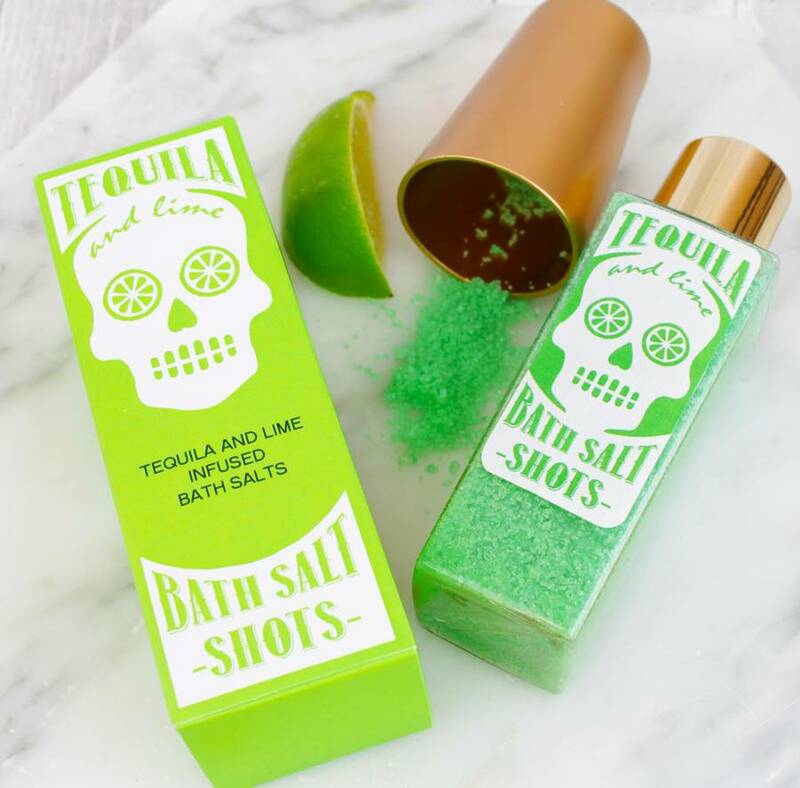 A luxurious, decadent aroma of Tequila and Lime is blended with this Epsom Salts to create a fabulous bath time treat that you will love to give as a gift for your Tequila loving friends. The bottle is capped with a gold chrome lid and comes in our signature lime green box, it makes a wonderful gift for birthdays and Christmas. Epsom salts are renowned for their relaxing and restorative healing powers, just pour 1/4-1/3 of the bottle into a bath for a zingy relaxing treat. You can now have these gift wrapped in a lovely kraft printed wrap with matching gift tag, tied with a pink or green satin ribbon and either sent to you or sent directly with a gift message to the recipient. Expiration dating is related to certain ingredients, like sunscreens and skin protectants. Our products are not labelled with these ingredients and do not require expiration dates. Products without an expiration date do not expire. For best freshness, we recommend that you use your oil within one year after opening and store it at 20-25°C (68-77°F). Handmade in The Vale of Belvoir UK from Epsom Salts, Bicarb of Soda, Mica colouring and Perfume Oil.